Roulette can be simply defined as a casino game played with a little wheel, a ball and a numbered board with different set of numbers printed in two colors, red and black. The only exception on the wheel is the Zero which comes with green color. 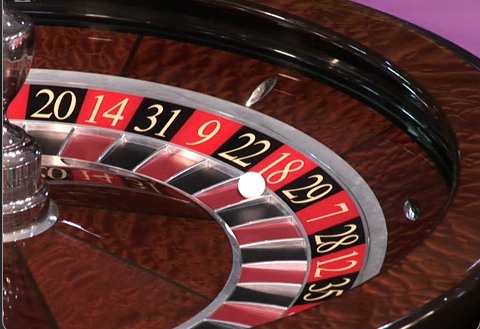 Even the word Roulette is derived from French word that literally means a small wheel. The game play involves players placing their bets upon a single number, odd or even numbers, a range of numbers, colors along with high or low numbers. Once the players have placed their bets, the croupier spins the wheel and releases the ball into the tilted circular track of the wheel. The ball eventually falls down into one of the thirty seven coloured and numbered slots on the wheel thus allowing the players to either win or lose. Currently there are many references available on internet in relation to the origin of this game. These tales range from devil’s work to the scientific evolution of the game itself. Some of the most interesting facts related to the origin and history of this “Queen of All the Casino Games” are presented here in this article. For some of the people, not only gambling, but especially the game of Roulette itself seems to have a relation with the Satan. There is common legend about how devil himself created this game to attract men and women to his dark side. This tale is supported by a very bizarre explanation that if we add up all the numbers on the wheel starting from one and ending at thirty six then the sum total will come out as “666”. This number is considered to be one of the signs depicting the presence of dark lord in this world. Though this legend can stand for single zero Roulette and can corroborate that the inventor of this game made a pact with the devil but what about American version of this game which came into existence at a much later time? A game which has a unique design and comes with features such as odds, house edges and statistics can only be created by a man with a scientific aptitude. So you shouldn’t be surprised if you read somewhere that the creator of Roulette was a French physicists and Mathematician called Blaise Pascal. The only thing which is even more unexpected is that he was not trying to invent this game but trying to perform an experiment related with perpetual motion. In the year 1655, Blaise Pascal wanted to invent a machine which can defy the physical barriers while achieving the perpetual motion without requiring any sort of energy from outside source. Even though his vision contradicted the laws of physics but being of scientific nature he wanted to defy the common knowledge of that time. In the end his experiment, as expected, failed and on the other hand he invented a process which later on became a central idea for the birth of the most popular casino game of this century. Even though Zero was discovered long before the invention of Roulette, but it did not existed on the wheel till the middle of the nineteenth century. The roulette wheel remained same since its inception by Blaise Pascal but in 1842 a new set of roulette wheel was designed by Francois and Lois Blanc for King Charles III of Monaco. The idea behind addition of a single zero on the wheel was to provide a bigger house edge to the casino owned by the King Charles III. 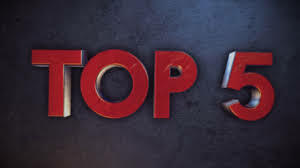 Americans on the other hand are quite famous for creating their own inventions whether it is right hand drive, baseball, rugby or casino games. So in 1800 when Roulette reached the United States of America; they changed this game too by adding a double zero to the wheel. This created even bigger house edge for the casinos. Once you are at a land based casino or logged in into your online casino, a huge array of games is there at your disposal. Some of these games are the classic casino games, while other being some new variants or new games all together. Out of the classic casino games, Blackjack and Roulette are considered as the two most popular games favored by millions of people from all over the world. 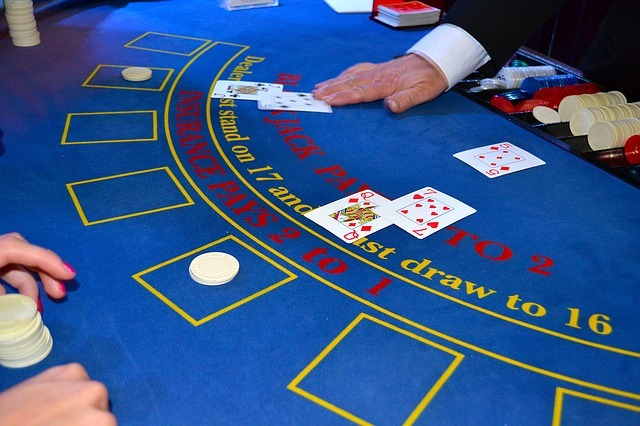 If you ask other players regarding their interest in both of these games, then you will find that some of them will vouch for Roulette being the best game while other will favor Blackjack as the most popular one. The most common reason given for Roulette as the best game includes its being one of the oldest games and the simple game play involved in it. On the other hand Blackjack is favored by players for the best odds presented by this game. Playing Blackjack involves making correct decisions based on the open cards dealt by the dealer. While doing so, a player has to balance the risk and calculate the probability of receiving the best possible combination of cards which can beat the dealer’s hand. Playing Roulette is probably the first choice for those people who have just ventured into the world of gambling. The rules and gaming instruction for this game are quite simple. 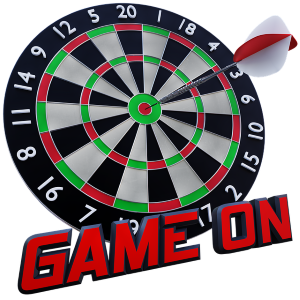 The game play includes picking up a number or a combination of numbers from the Roulette board; spin the wheel and if the ball lands on your selected number/numbers or color you win the bet. It is a general notion that more complex the game will be, lower casino edge it will have. As per the data available, Blackjack usually has a house edge of 0.5 percent. Roulette, depending upon the variant you are interested in, has a house edge ranging from 1.35 to 5.26 %. This difference in the house edge for both games can be attributed to the fact that Roulette is a much simpler game to play as compared to Blackjack. Whatever happens during the game of Roulette, Odds always remain same. This can be ascribed to the fact that each spin of the roulette wheel is an independent event. Even if you are betting on “Black” the odds will always remain in the range of 18/38 or 18/37. Previous roll of the wheel does not have any effect on the next one. In contrast, game play of Blackjack on a large extent depends upon the cards which get dealt during the game. Once a card hits the table, it’s gone thus affecting the composition of the deck till it again gets shuffled. This means that once a card is dealt, there is no chance that you will receive that card again. This theory is used as the base for the strategies related with card counting. Card counters by using “heuristic system” calculate the favorability of the deck and bet accordingly. If you are interested in both of these games to make money rather than playing for fun then it becomes very important to know about how many wagers can be made in each of these games for the same hours of play. If you are playing Roulette with five other players then chances are that you will be betting 35 times in an hour. The number of spins per hour in Roulette is inversely proportional to the number of players involved in the game. Blackjack to some extent is faster paced in comparison to the Roulette. In the same set of circumstances mentioned above, Blackjack tends to provide up to 60 hands per hour. This means that you can make more wagers in the game of Blackjack as compared to Roulette. Does this mean that Roulette loses its crown to the Blackjack? Certainly not. All depends upon the personality of a player. If a player wants to play a leisurely elegant game then Roulette is the best game. Then again if the choice of a player involves card games and he or she likes to make decision based on common logic then Blackjack is a much suitable game.